Tool Control allows you to harness the power and speed of M18 FUEL™, and completely configure your tools around the work you do. Using ONE-KEY™, wirelessly sync with your drills and impacts to program custom speed and torque settings directly into the tool’s memory. Advanced electronics inside the tool monitor its output, offering unmatched control and consistency with every trigger pull. Customise your tool by clicking the slider positions in the app. See how configuring settings like speed and torque affect your tool's output. Click the "SAVE" icon in the app to save your custom profile to your ONE-KEY™ enabled tool. The settings are saved directly to the tool's memory, and can be accessed without your phone through the footpad of the tool. Press the mode select button on the tool to toggle through saved profiles. See how tool customization offers unmatched control and consistency with every trigger pull. Turn down speed and torque to get light fasteners snug without stripping or breaking the work surface. Custom settings for finish work allow you to properly fasten delicate hardware without having to feather the trigger. Program your tool for anchors in slab, cinderblock, or brick and the tool will deliver a consistent drive without snapping a fastener or stripping out the hole. Integrated Tool Tracking allows you to have full visibility of tool utilisation across your network of jobs and users. The ONE-KEY™ app will automatically keep records of the last time it was within 30m of your tool, allowing you to pinpoint missing tools quicker and increase accountability of your crew. As the first to integrate this technology standard in the tool, ONE-KEY™ Tool Tracking provides a free, easy to use web & mobile platform to keep a virtual eye on your things when you can’t. The ONE-KEY™ app will track all ONE-KEY™ compatible devices within 100 ft range of your phone. By building the functionality into the tool, not the battery, all devices are trackable even if the battery is not charged or on the tool. 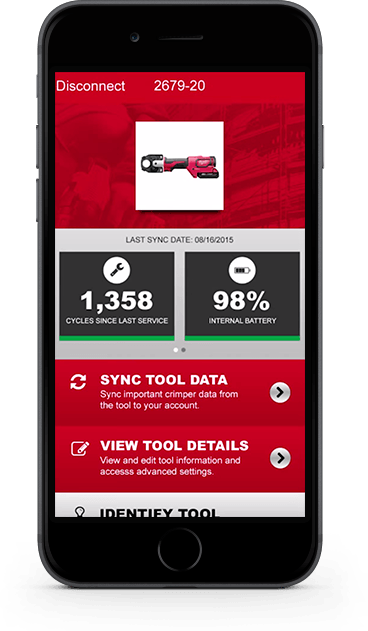 The ONE-KEY™ app will automatically store the last time it was within range of your tool. Left a tool behind? Check your app to easily pinpoint the last time and location you were within 100 ft of your missing tool. Having trouble locating a lost tool? Expand your search with the help of anybody with the ONE-KEY™ app. By opting in, when any phone with the ONE-KEY™ app comes in within 100 ft of your tool, you will receive an updated location. Inventory Management creates a central place for you to track all tools and equipment across your network of jobs and users. Keep detailed records of all inventory, any manufacturer or brand, to easily build a budget and manage annual spend on equipment. ONE-KEY™ enables instant and easy information-sharing between the field and back-office by assigning locations and owners to each inventory item.